"Excellent service but should include better report features. " 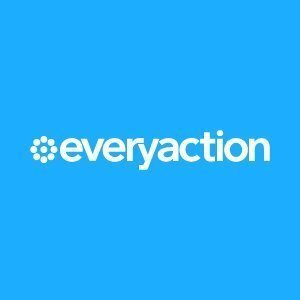 "The perfect set of tools for any non-profit"
EveryAction is an incredibly flexible platform that allows you to customize your tool set for exactly the kind of work that your non-profit does. I have used it very successfully to manage online donations and thank you notes, manage our supporter list, organize events, and engage our supporters on issue advocacy. The interface can sometimes not be the most user friendly, and the training tools can be a bit sparse, but they are improving every day. 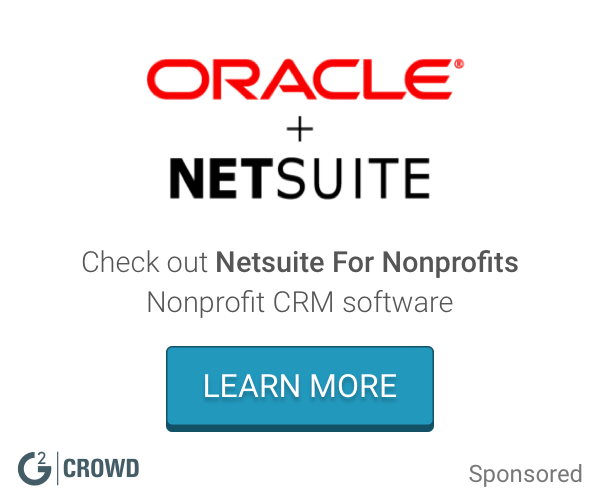 I have used EveryAction to successfully handle CRM task for a non-profit with an annual budget of $1.5 million. Taking in large amounts in donations can really bog down staff and take the focus of an organization away from their core mission. EveryAction made this an absolute breeze. We couldn't have done it without them. I LOVE that EA auto-formats addresses to USPS standards, so now I don't have to go through and do it all myself manually like I did in Salesforce. EA doesn't seem to search on name and email address as would make sense. It seems to only recognize VANID, and if you don't that to the spreadsheet for upload it creates a duplicate record. It's REALLY inconvenient and time consuming to look up every VANID. Hence, I don't understand the point of doing a bulk upload if you have to look up each donor record anyway. Talk to people who have actually implemented it. I heard from our Development team that once we paid them the level of service and communication drastically decreased. And the implementation support was not great at all. We found out later that EA couldn't do a lot of things that we need it to do. Things that seem elementary and obvious.. So far quite honestly the only benefit I've seen for the work I do is the standardization of physical addresses that I mentioned above. "Good but a hard to learn"
Everyaction has strong reporting tools and robust CRM. It also had decent online action tools and allows loading of custom advocacy targets. It sometimes seems inflexible and is very difficult to learn all of the systems. Its theming system is a bit obtuse. Everyaction is associated with the Democratic Party, which might be a consideration if your organization is trying to be non-partisan. We use Everyaction to manage our email lists and engage supporters with digital advocacy items. Because so many in our industry must use VAN, it's easy to understand the user side of things. We had to develop a lot of shortcuts. It'd be nice if you could simply duplicate an event and it would save all of your previously used code settings, instead we were always copy pasting. It's a wash. Because VAN and EA are similar but not the actual same, there are plus and minuses. The My Campaign side of VAN is almost identical to parts of EA. Therefore, at one point we decided to migrate/duplicate users from EA into My Campaign of VAN. What a mess. We essentially had to keep a lot of duplication. Digital team and external comms would primarily work in EA, field would work in VAN and we'd have to remember to follicle events in both to track everything. "Switched from Nationbuilder, very happy with EveryAction"
"Great for bulk emails, but VERY finicky"
Every action makes a lot of things easy, like adding smart links to track donations, segmenting lists (in great detail, which is awesome), following click rate, etc. Oh dear god we have an issue once every other week. This week, EA just shut down completely and my company of 150 people were in a panic. It was resolved quickly, but that's a lot of stress. If you have high email needs (a lot of series, or segmented lists), this is the right product for you. We can segment lists SO easily and in such detail. So if we want to target, for example, parents over the age of X who have donated above $250 before, we can. We get great results from segmenting so specifically. The customer service is borderline nonexistent. When they respond to requests, if they respond, it's typically to tell us something is not possible. It's a great tool to segment and target our database. This has helped us to better engage our supporters. Easy to use and great layout overall! Love it for work and sending out mass emails. Not much to dislike! Great website that's easy to use with little room for user error. Stay organized and on top of the website so you understand how to use it best. There are some buttons and things to click that aren't super clear so be aware of that. I love the list builder and how easy it is to access reports from the list. It takes seconds to select a group of donors and see what they've given in the past month, year, fiscal year, etc. The email functionality is easy to use and the open rates and other statistics are easy to access and understand. There is a learning curve for direct mail plans and reports, but the EveryAction website has tutorials that help facilitate learning the functionality. Immediately, we saw an increase in open rates for email. Additionally, EveryAction has all of the tools to maximize multi-channel marketing opportunities. Customer service has not historically been very helpful. When they do offer ANY guidance, it comes with a price tag. "Good but could use work"
Well designed technology for non-profits. The email, advocacy, and multiple forms features are useful tools. I wish it was easier to use for older generations, or training videos. Organizing events are made easier. A powerful tool for movement building, but it can be difficult to learn at the start. Contact management and insights into contact engagement. * We monitor all EveryAction reviews to prevent fraudulent reviews and keep review quality high. We do not post reviews by company employees or direct competitors. Validated reviews require the user to submit a screenshot of the product containing their user ID, in order to verify a user is an actual user of the product. Hi there! Are you looking to implement a solution like EveryAction?